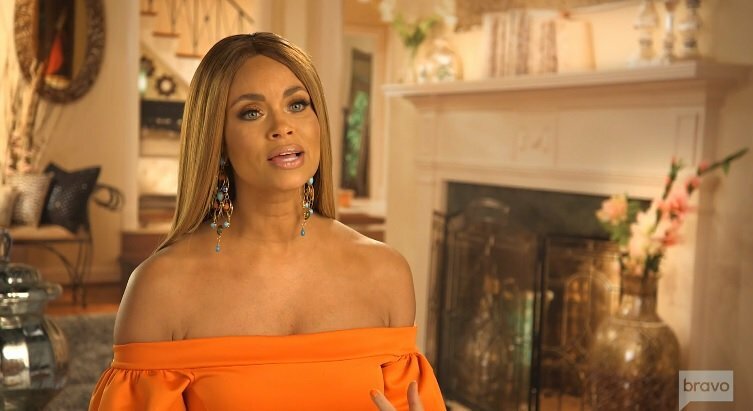 Real Housewives Of Potomac's Gizelle Bryant On Karen Huger: "A Grand Dame Who Is The Spokesperson For Lies R Us"
The Real Housewives of Potomac have stepped up their game this season, and the theme of the women’s antics seems to be just general messiness. I think this crew takes the franchise’s cake for pot-stirring and smack talk, yet they are all contractually obligated able to share some laughs on a Bravo funded vacation. At least it’s fun to watch! The drama of late has festered along the backdrop of several charity events, and if you think these women are above throwing shade when it comes to good causes, you would be sorely mistaken. At Karen Huger’s Alzheimer’s fundraiser, she kicked out Gizelle Bryant and Robin Dixon, and Gizelle managed to get into it with Charrisse Jackson-Jordan. Of course, doesn’t Gizelle get into it with everyone? The Word on the Street has some words of her own for Karen, Charrisse, and Monique Samuels. Something tells me that this season of RHOP is only going to get more contentious…and therefore, much more fun to watch! TELL US – DO YOU GIZELLE CARES MORE THAN SHE IS LETTING ON IN HER INTERVIEW? ARE YOU ENJOYING THIS SEASON OF RHOP?